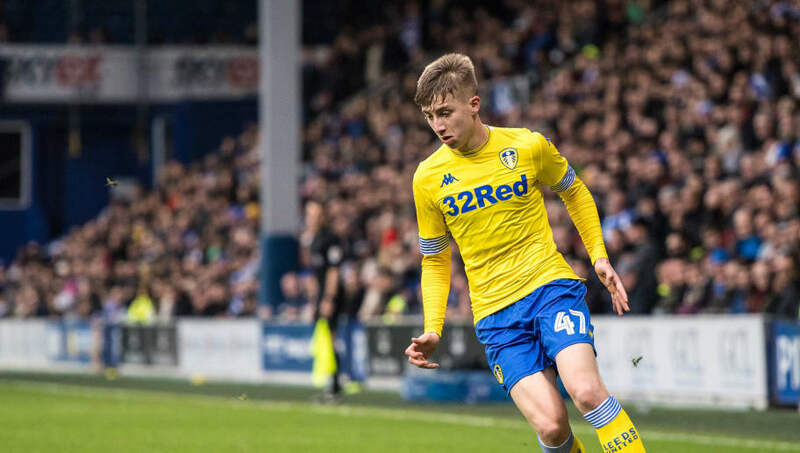 Leeds United have rejected a bid from Premier League side Crystal Palace for highly rated teenage prospect Jack Clarke. ​Several Premier League clubs have been tracking the progress of 18-year-old Clarke, who is valued at £12m despite the fact the teenager has only made 13 appearances this season. Leeds United have rejected a bid from Crystal Palace for English winger Jack Clarke, 18. Jack Clarke has attracted interest from the likes of Bournemouth and Tottenham, with Manchester City also previously showing interest. Clarke's current contract has two and a half years remaining and, while there has been speculation of an extension, nothing has been confirmed as yet. According to Daily Mail, ​​Crystal Palace have had a bid rejected by Leeds this month. The Championship leaders have stressed the fact that he is not for sale. Clarke has impressed in his limited number of games, scoring twice. The versatile forward, who is also able to play on either wing, is known for his ability to take on defenders using his dribbling skills and pace. Clarke has come through the ranks at Leeds and was overjoyed after impressing on his full league debut in the win over Derby on Friday, having had a hand in both of Leeds' goals on a night full of controversy. He told the Mirror: "It's massive every time I play, I want to make an impact and make a difference." Clarke could be in line to get a call up for the England Under-21 side, with his display against Derby impressing coach Aidy Boothroyd.